Work with the largest virtual fleet of accredited suppliers in the UK & across Europe. 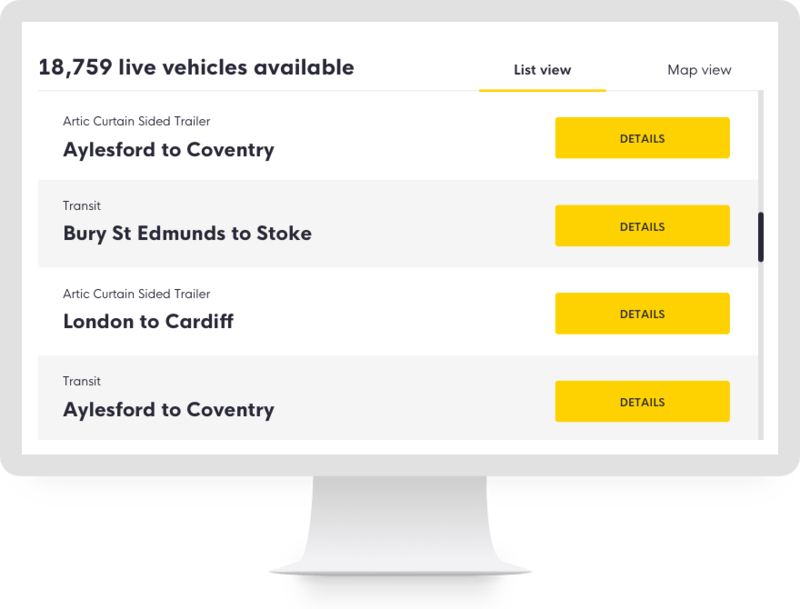 Subcontract more work with our massive virtual fleet, available across the UK and Europe. Expand your routes and business with advanced, professional management tools. We are the UK’s most trusted, trade-only platform. Get your loads covered fast with our simple and secure load posting system… from your browser or direct from your TMS with our advanced APIs. Keep ‘in-the-loop’ at all times, whoever is carrying for you, with real time load status monitoring and reporting. Easily set up priority alerts, to you or direct to your customer, so that you’re always ahead of the game. Included with every package, advanced features and great extra benefits to help you make every mile matter. Easily find new trading partners and build lasting relationships. Spend less time on admin work with electronic PODs, invoicing and more. Easily keep track of all your work, vehicles and sub-contractors. All the information and control you need, in one place, to help grow your business.